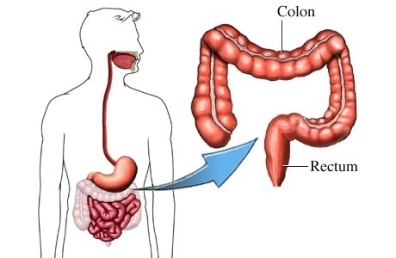 For colon cancer, the goal is to remove all of the cancer. If you have a precancerous condition, then you may have prevented the development of cancer. If you had surgery because of other conditions, a successful operation will alleviate or improve your symptoms. Antibiotics—It is important to take them as directed. Small incisions will be made in the abdomen. Instruments will be inserted through these incisions. The diseased portion of intestine will then be removed. The 2 loose ends of intestine will be sewn together. Some soft tubes may be left in the abdomen to drain any accumulating fluids. With either procedure, you may need a colostomy or ileostomy . In this procedure, an artificial opening will be created in the abdomen, called a stoma. One or both ends of the intestine will be attached to the stoma. This allows stool to exit the intestine through the stoma. It collects in a pouch called an ostomy bag. 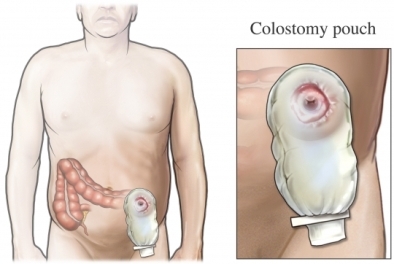 A colostomy may be temporary or permanent. The removed tissue will be examined under a microscope. You will be taken to the recovery room and monitored. A patient guide to colostomy care. Northwestern Memorial Hospital website. Available at: http://www.nmh.org/ccurl/580/761/colostomy-care-guide-09-07.pdf. Accessed April 3, 2018. Colorectal cancer. EBSCO DynaMed Plus website. Available at: http://www.dynamed.com/topics/dmp~AN~T113642/Colorectal-cancer . Updated January 2, 2018. Accessed April 3, 2018. Colorectal surgery considerations. EBSCO DynaMed Plus website. Available at: http://www.dynamed.com/topics/dmp~AN~T900261/Colorectal-surgery-considerations . Updated February 11, 2018. Accessed April 3, 2018. Crohn disease in adults. EBSCO Plus DynaMed website. Available at: http://www.dynamed.com/topics/dmp~AN~T113975/Diverticulitis . Updated December 21, 2015. Accessed April 3, 2018. Crohn’s disease. National Institute of Diabetes and Digestive and Kidney Diseases website. Available at: https://www.niddk.nih.gov/health-information/digestive-diseases/crohns-disease. Accessed April 3, 2018. Diverticulitis. EBSCO DynaMed Plus website. Available at: http://www.dynamed.com/topics/dmp~AN~T113975/Diverticulitis . Updated December 21, 2015. Accessed April 3, 2018. Surgery for colon cancer. American Cancer Society website. Available at: https://www.cancer.org/cancer/colon-rectal-cancer/treating/colon-surgery.html. Updated February 21, 2018. Accessed April 3, 2018. Surgery for rectal cancer. American Cancer Society website. Available at: https://www.cancer.org/cancer/colon-rectal-cancer/treating/rectal-surgery.html. Updated February 21, 2018. Accessed April 3, 2018. Ulcerative colitis. EBSCO DynaMed Plus website. Available at: http://www.dynamed.com/topics/dmp~AN~T114507/Ulcerative-colitis . Updated July 28, 2017. Accessed April 3, 2018.